Please note all reservations will be seated in the main dining room. If you wish to reserve in hibachi grill, please let the restaurant know. 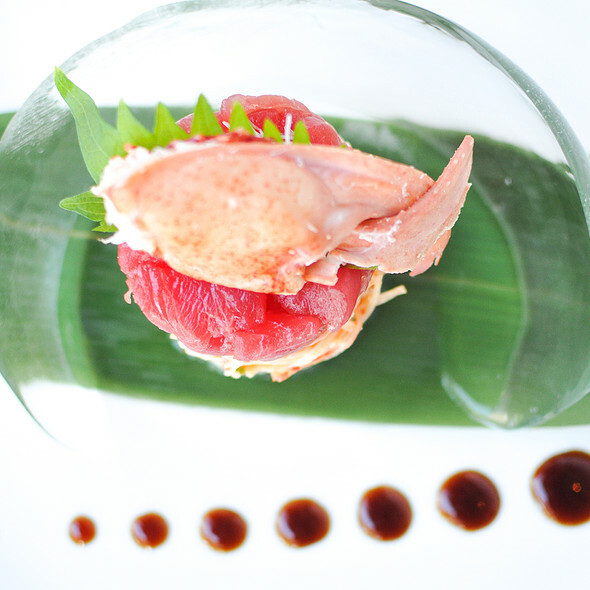 OKKO Hilton Head specializes in contemporary Japanese and Thai cuisine. The atmosphere is sleek and upscale. 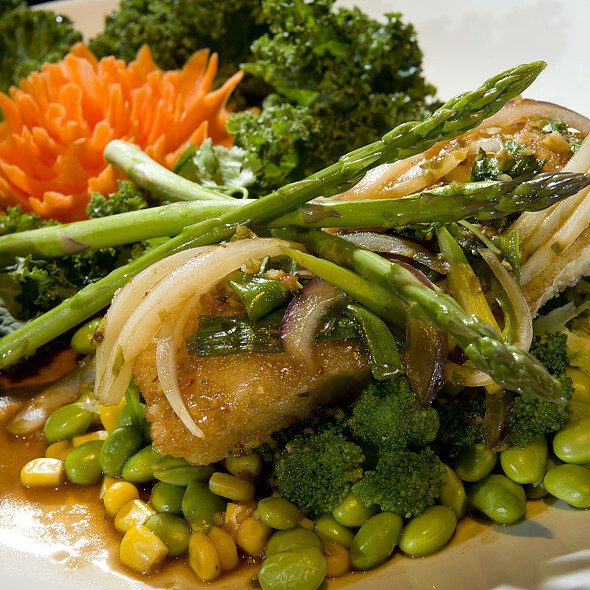 We offer the best authentic Asian cuisine on Hilton Head. 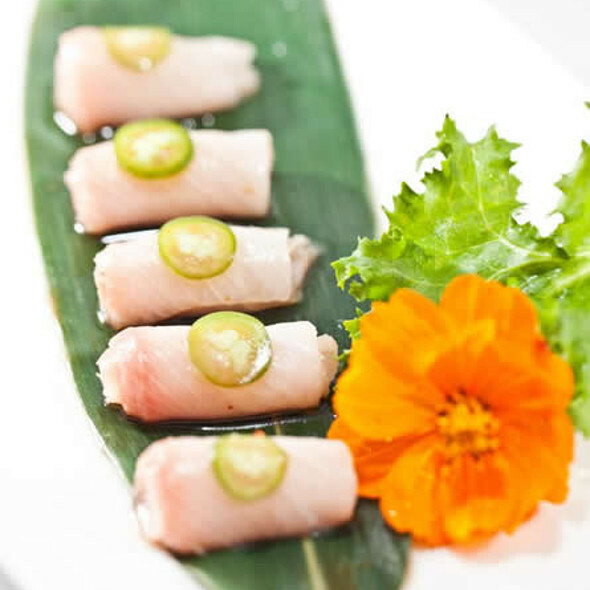 We offer a wide array of choices from sushi and sashimi to Thai curry. 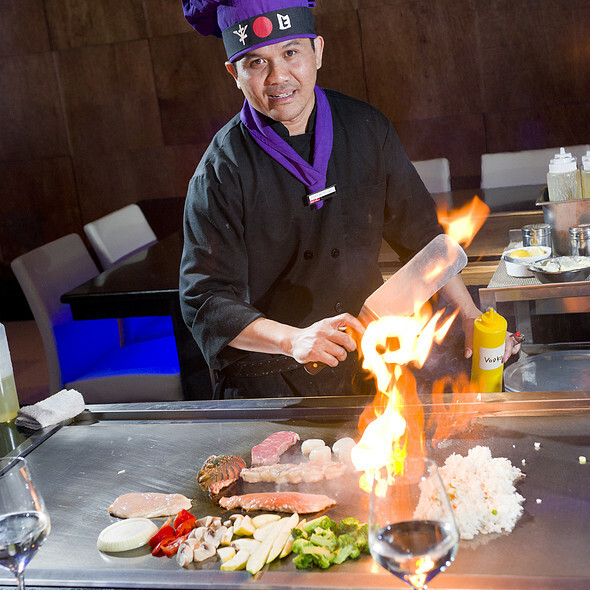 Or watch our hibachi chef prepare your meal to order from a selection of fresh meats, seafood, and vegetables. Loved it. Going back tonight! 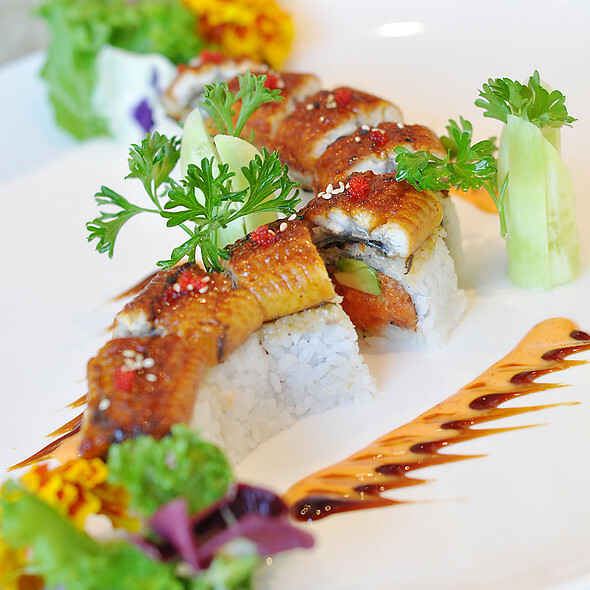 consistently good asian inspired cuisine and sushi! Only complaint is that the service was a bit too quick! Would have liked a more leisurely pace as the dishes came out. Otherwise, delicious food, nice atmosphere. Food was tasty, but was served Luke warm only. Kitchen was backed up! We had friends in town that had been wanting to try Okko, so we brought them. Dinner was very good, as usual. The food is plated so beautifully, too. Wish it wasn’t so noisy, but we love the food and it is consistently good. It is our go-to place for Asian food on the island. Best hands down! We truly enjoy coming here! The food is outstanding and fresh! The service is top notch! A true hidden gem! Excellent fresh food, super ambiance, very upscale! This place never disappoints. Try the Big Mac roll. The fish is the freshest on the island. Also, smoked salmon to die for. 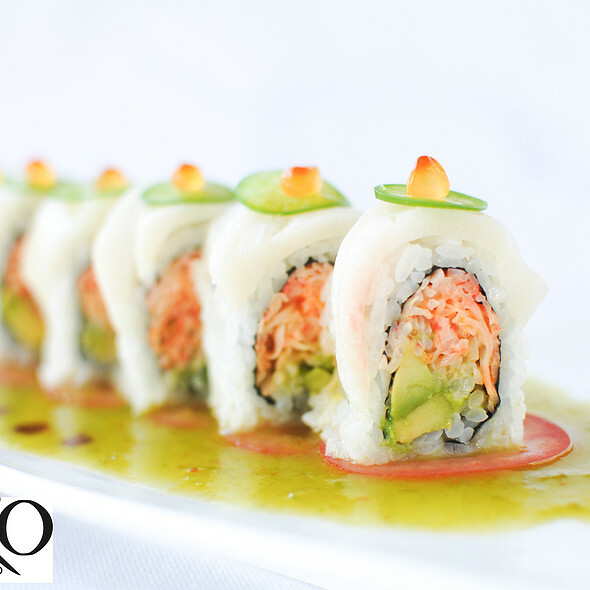 Okko is one of our favorite restaurants on HHI. The sushi is fabulous, the hibachi is amazing but the “dinnertainment” is out of this world. This is our favorite restaurant on HHI. The reason for 4 stars on the food instead of 5 stars was that eating the Fried Calamari that was like chewing extra large rubber bands. Great, fresh vegetables in Thai items. Great curries. My favorite to get Thai food. European wines available (Austrian/Alsatian wines) but wish more French choices. Great bartender if you want mixed drinks and some good choices on cocktail menu. First time at OKKO and it was great. Staff very friendly and ambience great. Will definitely visit again. Best Japanese food on Hilton Head Island. Awesome decor as well. Always busy, very fresh ingredients. Grossly understaffed. Waited in front of the hibachi grill for 40 minutes while the hibachi chef was serving the other table without any attention. The food was outstanding! We had the Red snapper in Tamarind sauce and Drunken Noodles. The hostess and our server were both excellent and very personable. Would definitely go there again to try some Sushi next time. Great atmosphere, delicious food, great drinks! Highly recommend for everyone! Super good food, service was great, and drinks were yummy. I do wish soy sauce would just be left on the table versus being brought out. Our absolute favorite restaurant on HH! Outstanding food and drink. Probably our 5th trip to OKKO and its always a pleasure.. special comment that they called me twice in advance to ensure that our reservations was properly handled. We really enjoyed our dinner at OKKO. All the food was high quality. The filet was melt in your mouth it was so tender. The only thing we noticed was that the chef put yum yum sauce on almost everything. This was ok for me, but my husband does not like yum yum sauce. It was added to the fried rice as well as the shrimp which was shared by everyone. 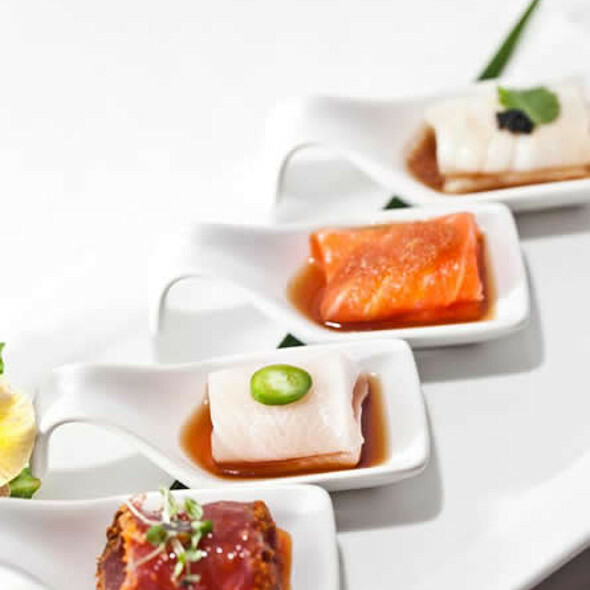 A modern setting supports a delicious a menu of Japanese, Thai and Chinese. This is a frequent destination for my family and friends and it never disappoints. The quality of sashimi is the best in the area. As always this food is so good! The freshest sushi ever! 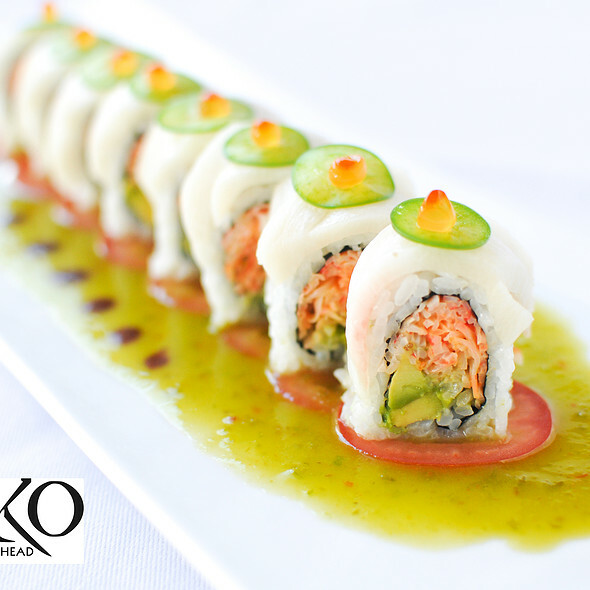 Okko is beautiful inside, and we love the Thai/Japanese/Asian food. The service from our waitress was fantastic. I was brought fried dumplings by mistake, when the staff realized it I also got the shumai that I ordered, plus my entree - all good. Best Asian food on Hilton Head Island. Consistently good. Nice atmosphere. Introduced some friends to restaurant and they loved it. Understaffed. Appetizers all came out separate and took a long time. We all knew what we wanted and we were there almost 2 hrs. Main courses did not come out as ordered but didn’t want to send back because everything was taking so long. Fantastic Sushi! Fresh and a wide variety! Service was great and the restaurant was packed when we were there so cudoes to our waitress! Inviting and sophisticated ambience. Food well prepared and delicious. My new favorite restaurant on HHI. Unfortunately the service was terrible. Brought the wrong appetizer and forgot my dinner. Entree came out before starter dish...??? First experience at this restaurant. Food was good. Will visit this restaurant again when in the area. Had an early New Years Eve dinner before a party. The place was jammed. Food very good as always. Service a little slower than usual, however, understandable considering it was a holiday. Best Filet Mignon I’ve ever had at a hibachi grill, all the food was delicious and the service was great even though they had a full house for New Years! And the chef passed around some celebratory sake which was super fun! We were seated immediately, promptly served water. There was the hibachi area, cocktails bar, sushi bar and dining area. 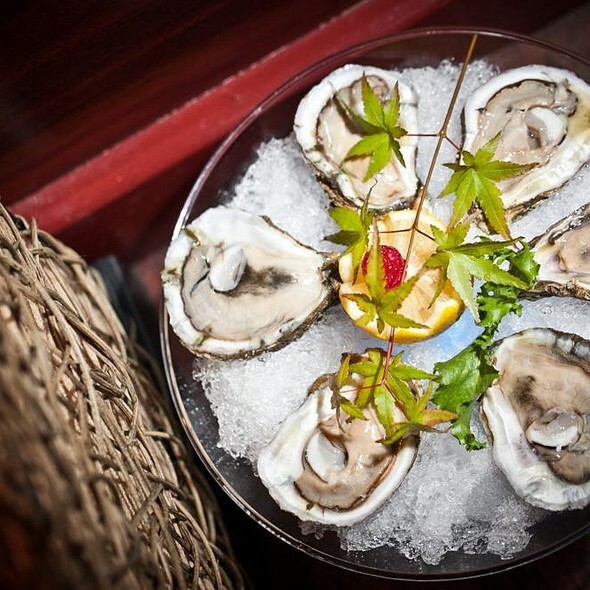 Menu is extensive offers soups, appetizers and varied sushi styles. Nice wines, sake and cocktails list. We had calamari appetizer, plenty for 2, delicious and tender with a light crispy coating served with a tangy dip sauce. Main dish was sushi dinner deluxe. The varied fish selections were sliced over formed rice with 8 rolled sushi of chef's choice in middle of plate. All fresh and beautifully presented. The tables for 2 were close together and small for the larger than usual plates so ask for a booth. The only noise was from the hibachi area performers. Wish I'd ordered the hot and sour soup! Look over menu online to help narrow down your areas of choice; the Thai and LoMein dishes looked wonderful. We will definitely return when in town. We were celebrating a birthday with a party of 9 in the hibachi room. Everything was great from the food, service, chef and entertainment. Our group included a 6 year old up to 62 and everyone thoroughly enjoyed the evening. THE BEST!!! We had a 10:00 reservation. Our show at the Arts Center ran longer than we anticipated so I called to apologize and see if they preferred we cancel. Corey was so very kind and accommodating; he told us to come on even though it was after 10. They actually stayed open late to serve us. Everything was perfect and they didn't rush us at all. This was the first visit for our four friends and I can guarantee its now one of their HH faves. I'm sure they'll request a return trip the next time they visit us.